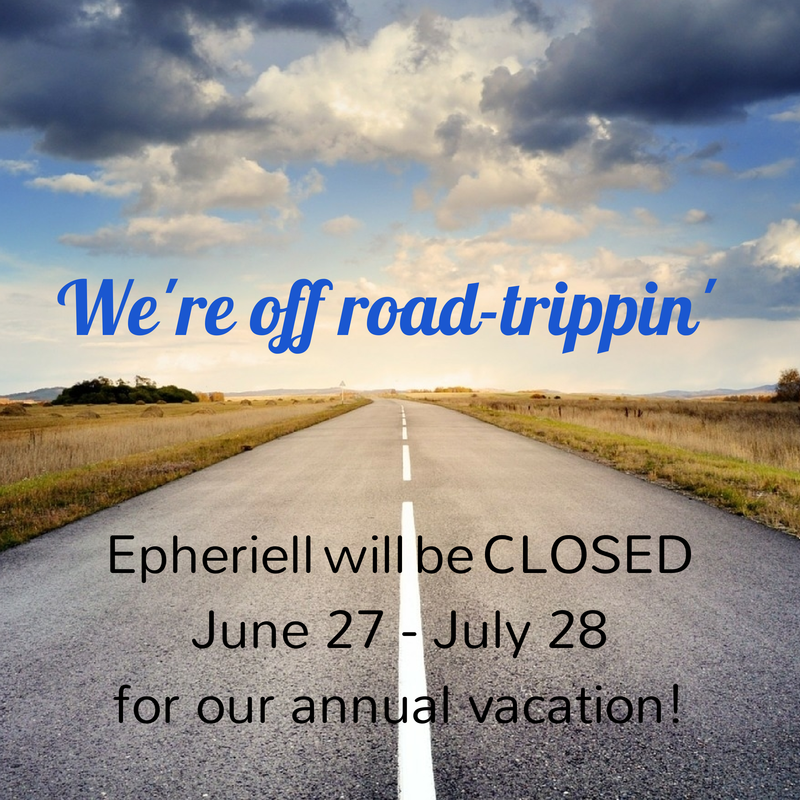 I know, I know, Epheriell was just closed in April! We’re off for a road-trip around our home state – Queensland! A month will barely be enough time to fly by some of the highlights of this great state we live in, but I can’t wait to show my English immigrant some of this native Queenslander’s favourite spots. So! We’ll be closing the virtual doors from June 27 to July 28. I’ll be checking messages every day or three, but we will not be taking orders during this time. If you want an Epheriell wedding ring (or any other jewellery) before the end of August, ORDER NOW so you don’t miss out! All orders placed prior to our closure on the 27th will be made and shipped before we leave. I’ll be in touch again soon to let you know about the monthly giveaway.